The exodus prompted by the Great Famine can be seen in our Immigration & Travel records. The years of the Great Famine prompted an exodus from Ireland. Between 1846 and 1852 almost 1.5 million men, women and children left their homeland in search of a better life in Australia, America, Canada and the UK. Counties particularly affected by emigration were Roscommon, Sligo, Longford, Cavan, Monaghan & Laois. These counties lost up to one fifth of their population through emigration. Emigration was expensive, a place aboard a cargo vessel to England cost a week’s wages, to Canada ten weeks, and to the United States almost four months wages. Families would often send one or two members to America or England in the hopes that they could earn enough money to allow the rest to follow. On many ships food was not provided or had to be paid for separately. Even when it formed part of the price of passage it was often of poor quality and unfamiliar to the Irish, for example rice or maize. Fresh water was scarce, barely enough for drinking, little for cooking and none for washing. Passengers, who were treated as little better than cargo, arrived at their destination malnourished, weak and diseased. They often disembarked in the same clothes they had worn when they boarded the ship two months before, not having removed or washed them for the entire journey. They arrived with little or no belongings, relying on charity to keep them alive. 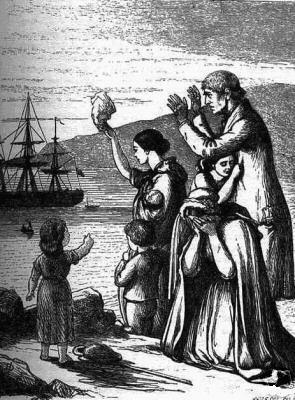 Part of our World Collection, the Irish Famine Immigrants transcripts list over 420,000 Irish people who disembarked in the United States between 1846-1851. Of those 8,000 were born on board ship and up to 10% of those who originally came aboard are thought to have died at sea. 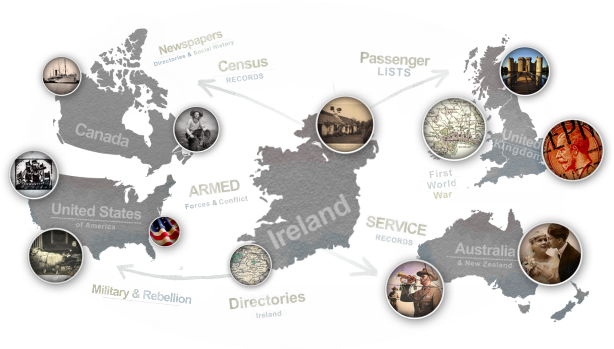 Findmypast’s transcripts groups together individuals with the same surname who travelled on the same ship. This is extremely useful when attempting to trace the family forward in census records. Potential matches can be more easily verified when family members are found listed together in both sources.